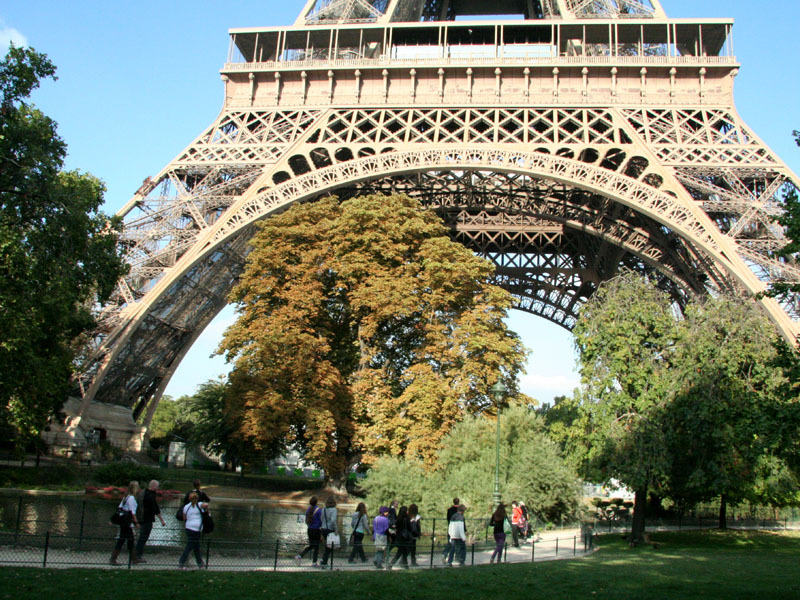 The Eiffel Tower is 1063 feet (324m) tall and 410 feet (125m) wide at the base. 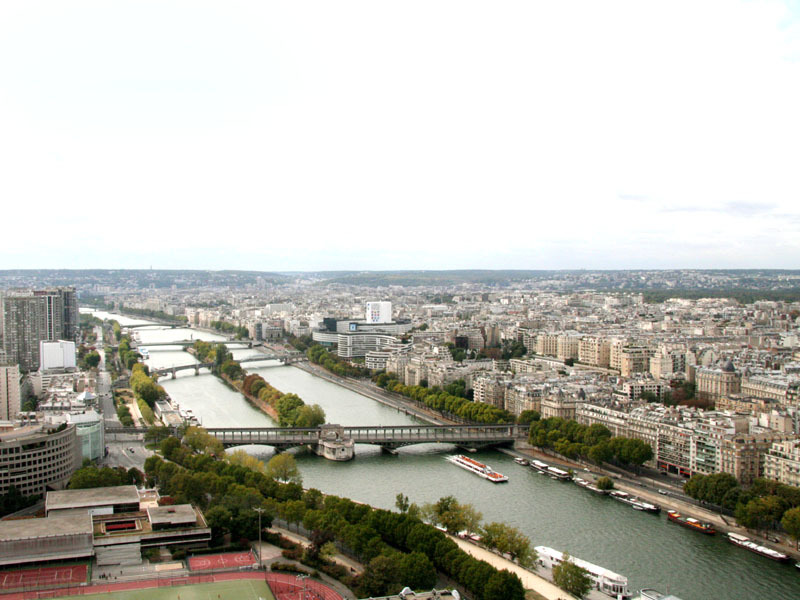 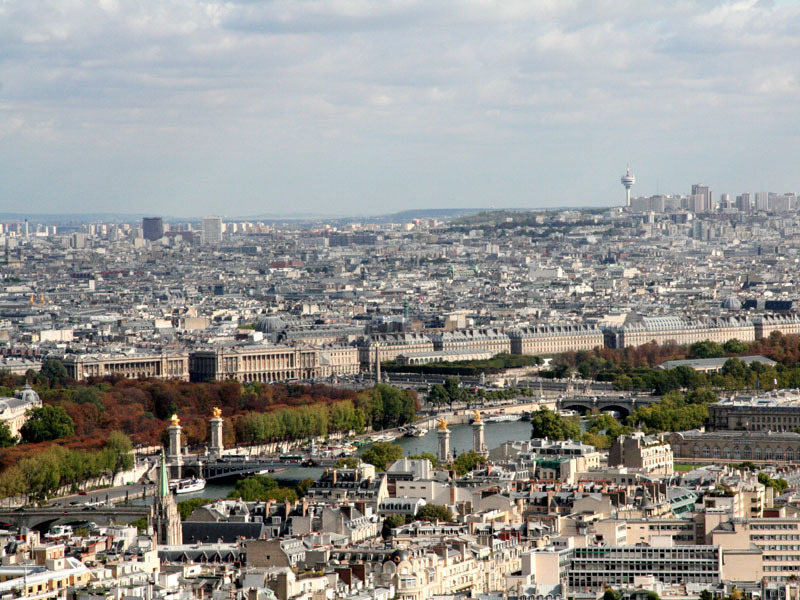 The tower's second level is great for photographing its Paris surroundings. 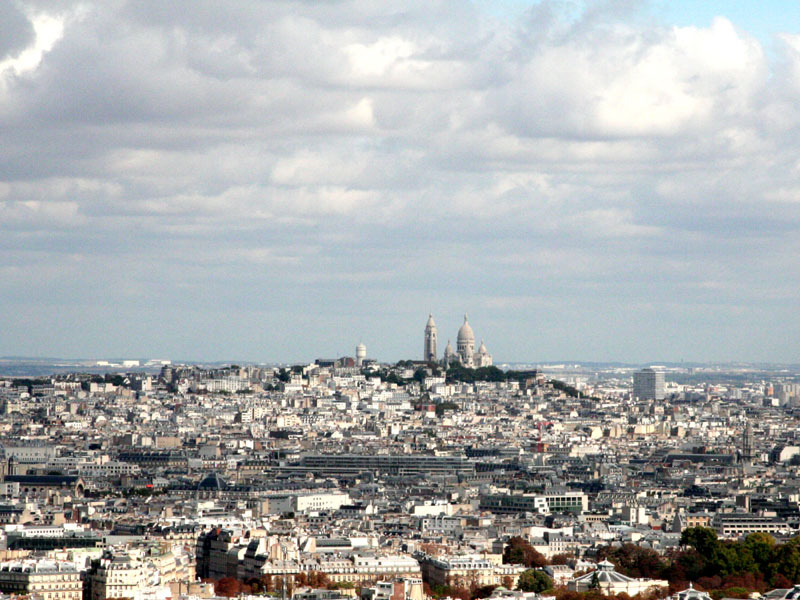 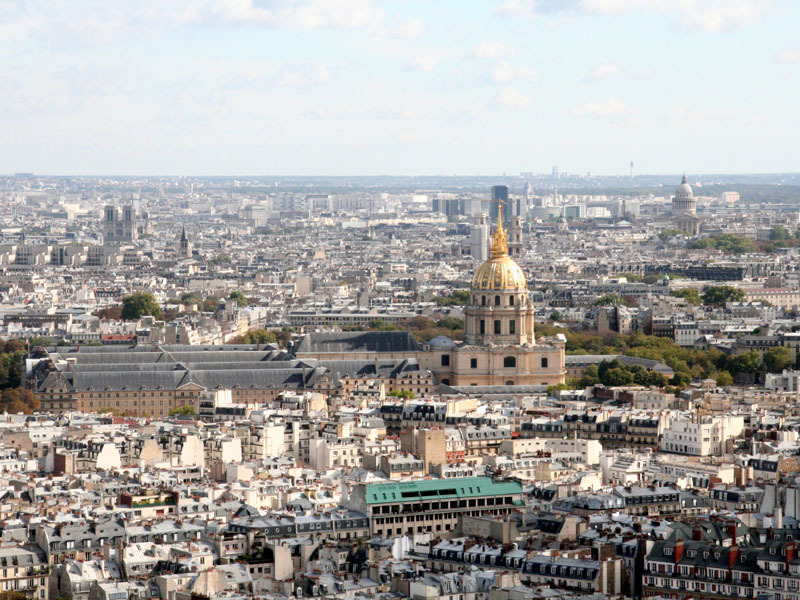 The Sacré-Coeur Basilica dominates the Montmartre district in the north-east. 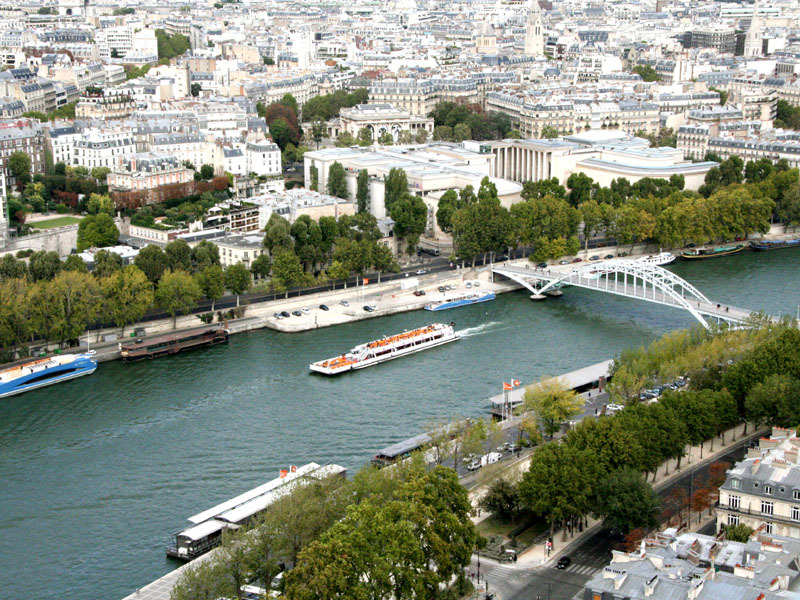 A Seine River cruise is agreat way to see the sights of central Paris. 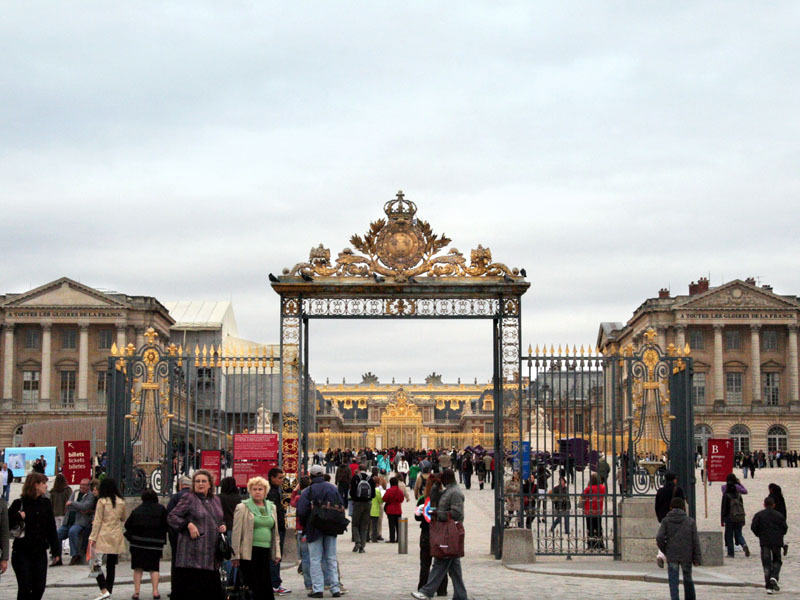 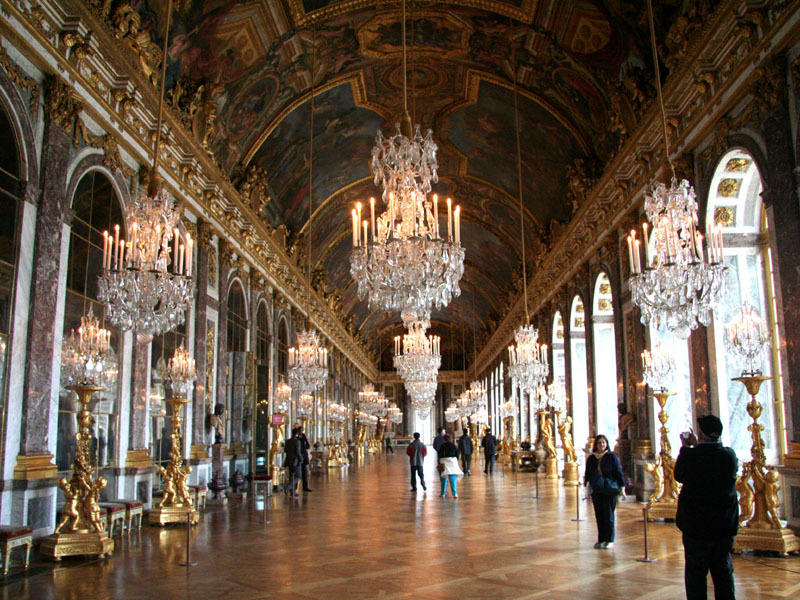 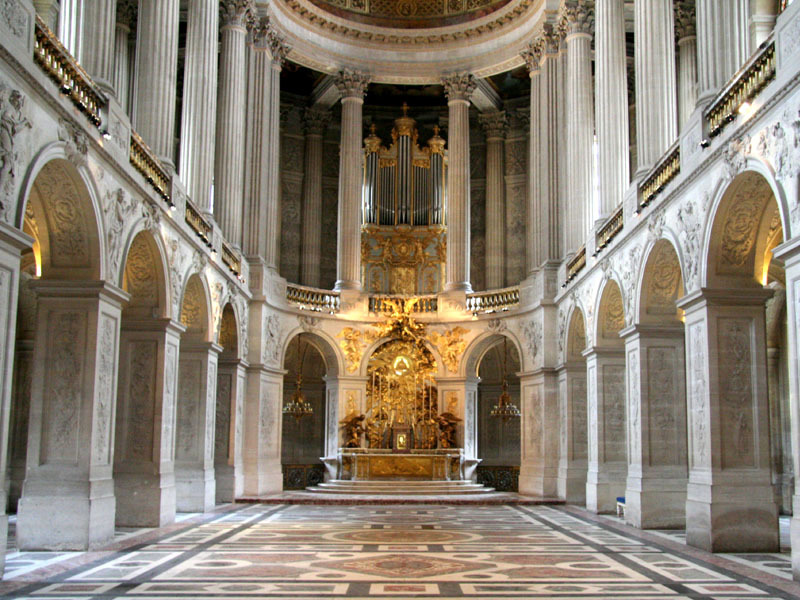 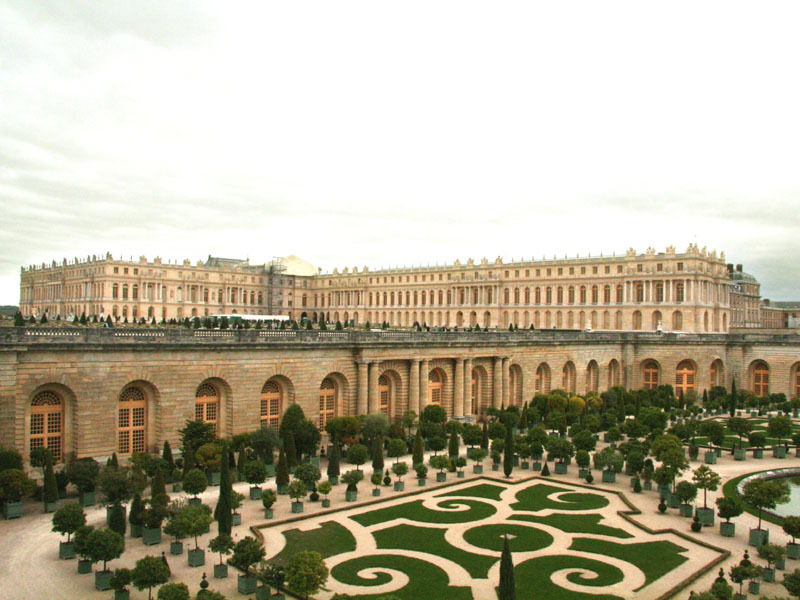 The court of Versailles was the centre of French political power from 1682 to 1789. 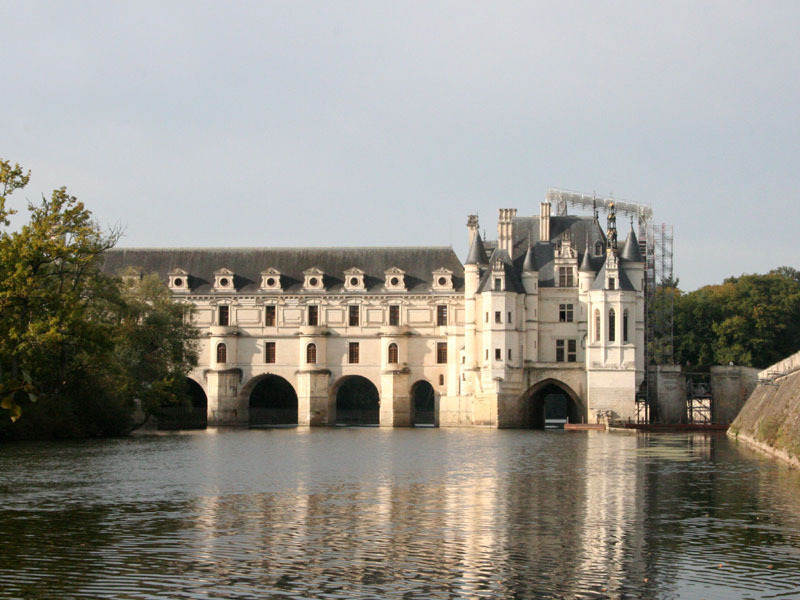 Château de Chenonceau elegantly spans the River Cher, a tributary of the Loire. 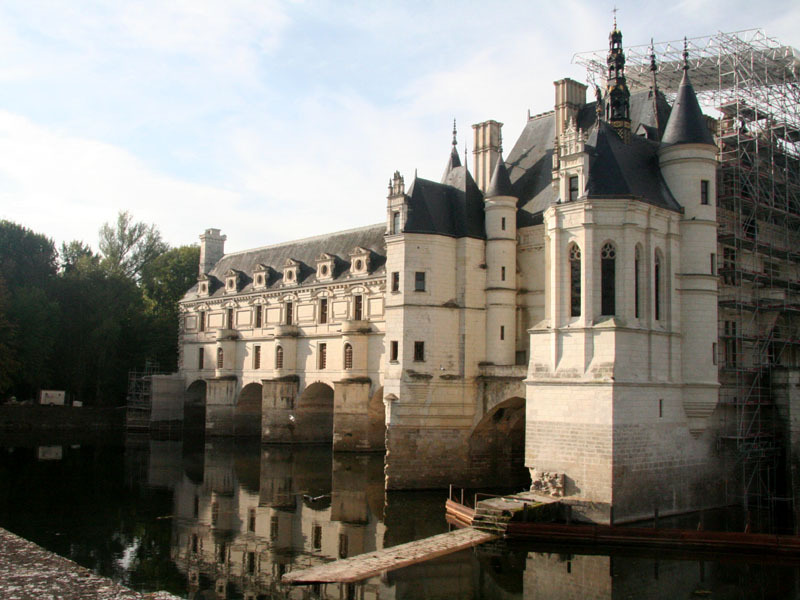 Diane de Poitiers, mistress of King Henry II, had the bridge built across the river. 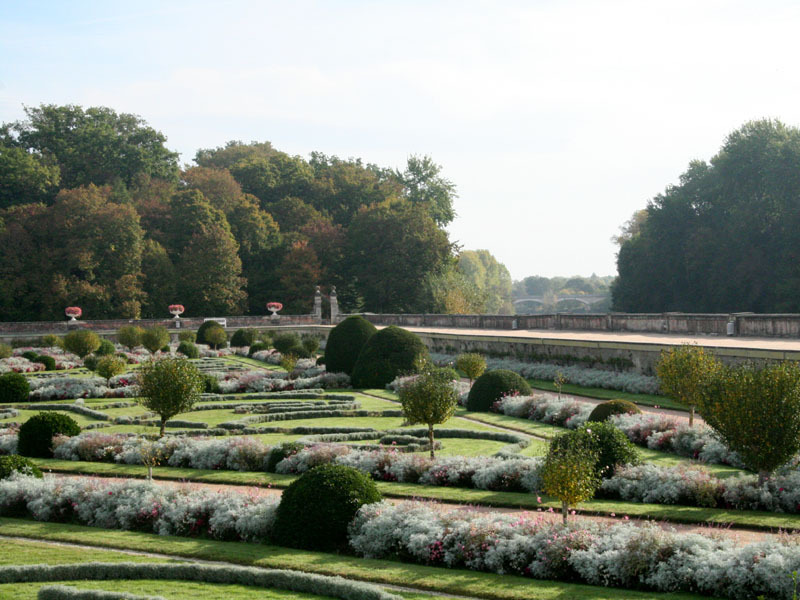 Chenonceau's extensive flower gardens were also begun by Diane. 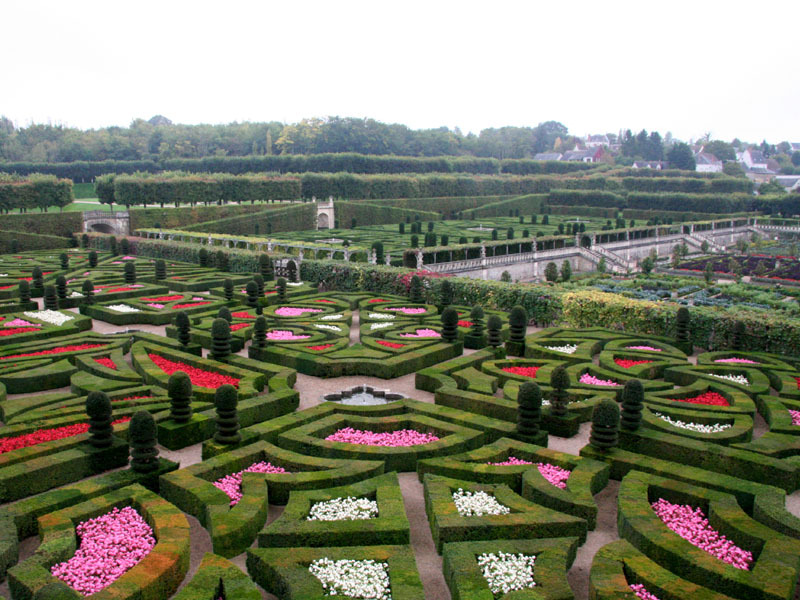 Maintaining all the various gardens remains a top priority. 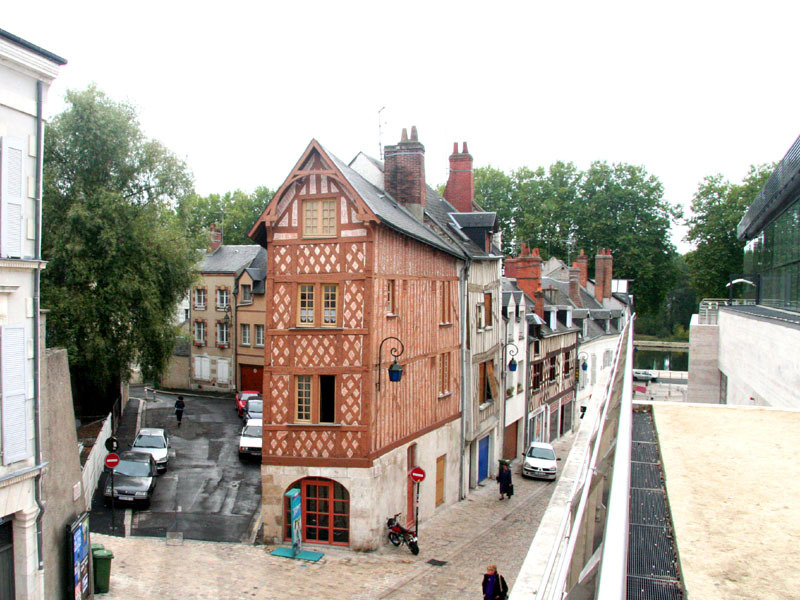 The Tour des Marques is all that remains of the original fortified castle. 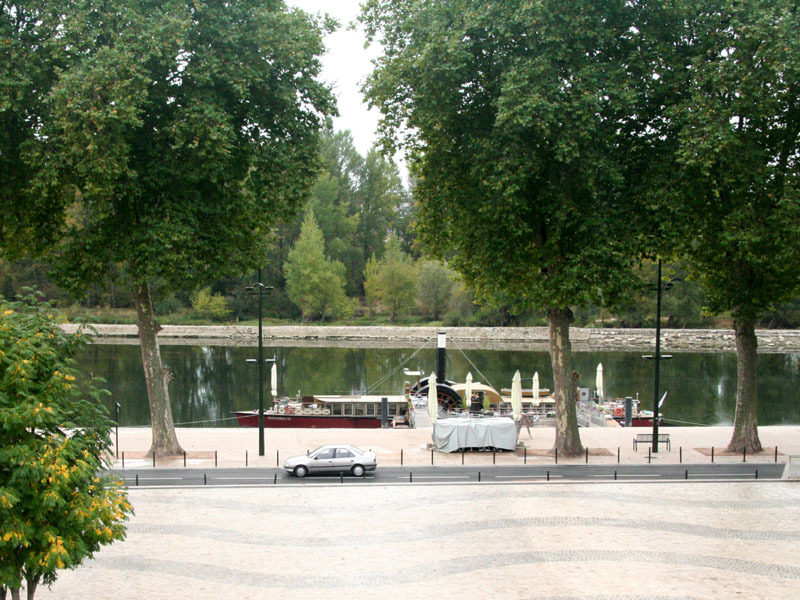 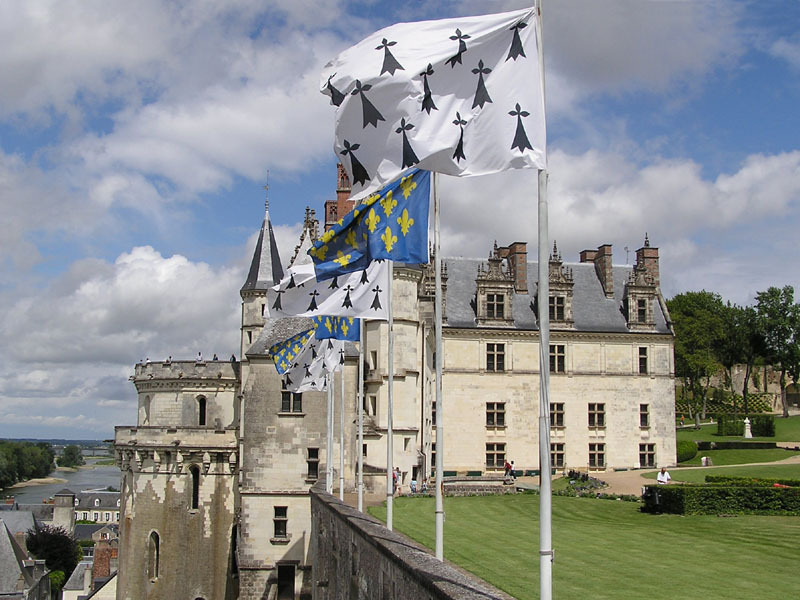 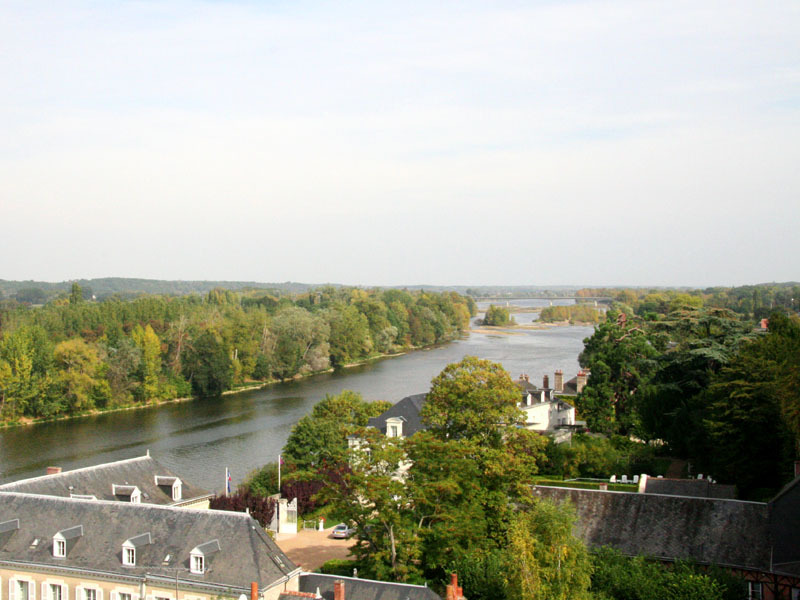 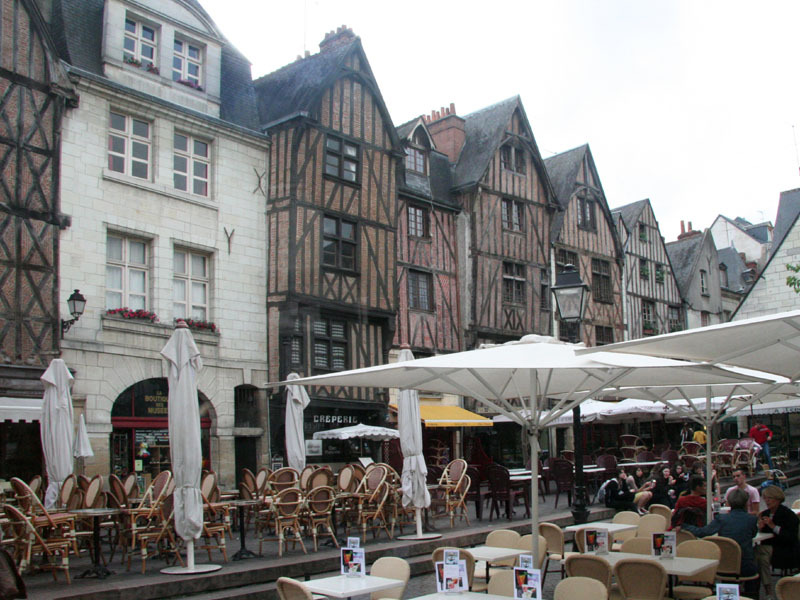 Amboise, on the banks of the Loire, was once home of the French royal court. 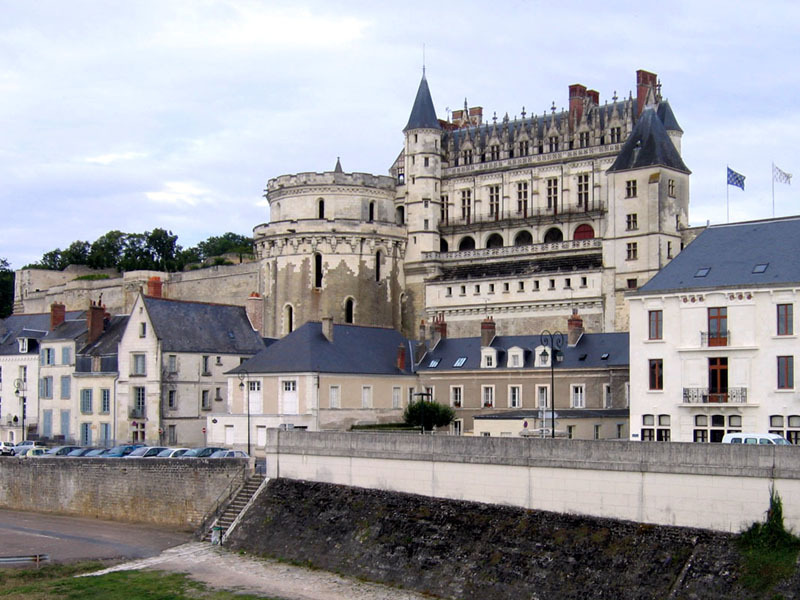 The majestic Château d'Amboise towers above the surrounding town. 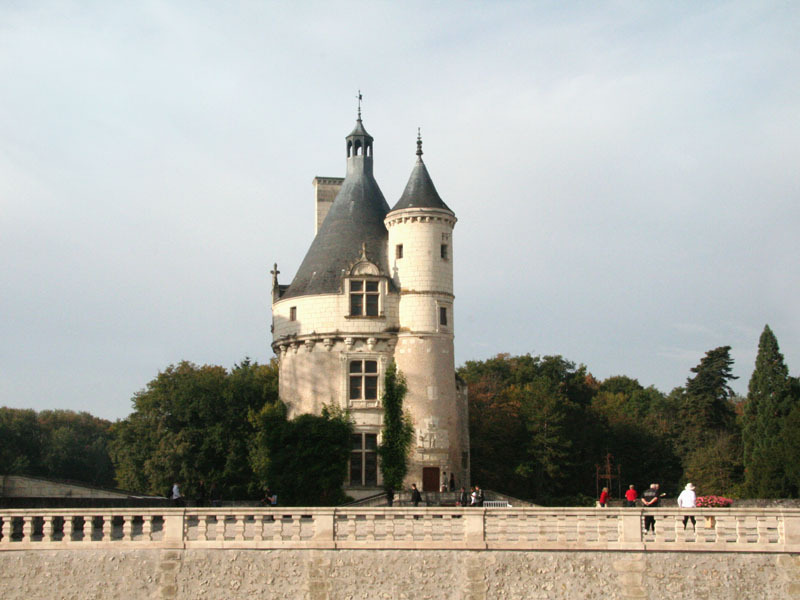 The Château was begunin the 11th century and rebuilt late in the 15th. 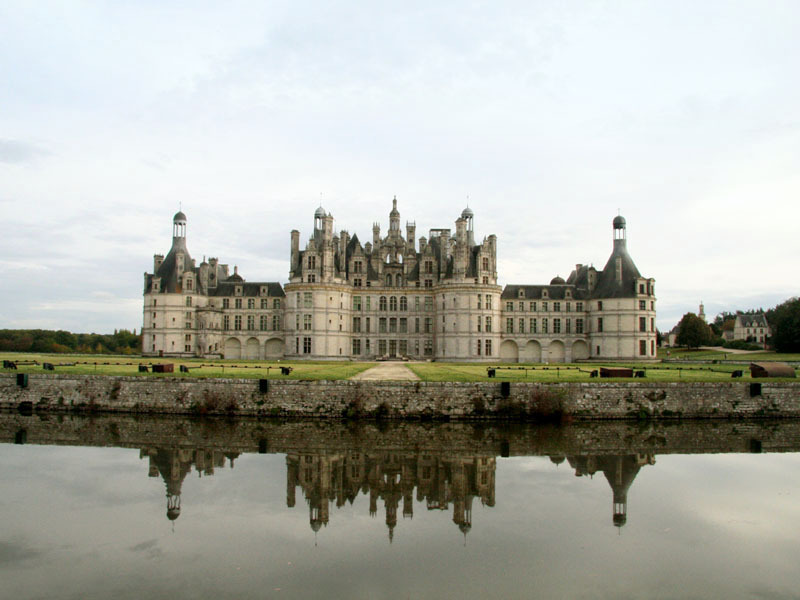 Its position gives it control over a strategic part of the Loire River. 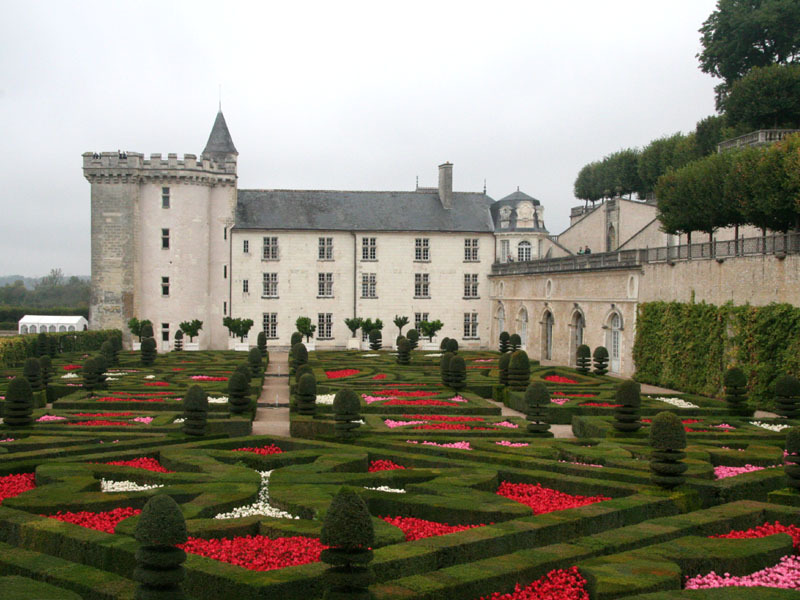 For over a century Château d'Amboise was a favourite residence of French kings. 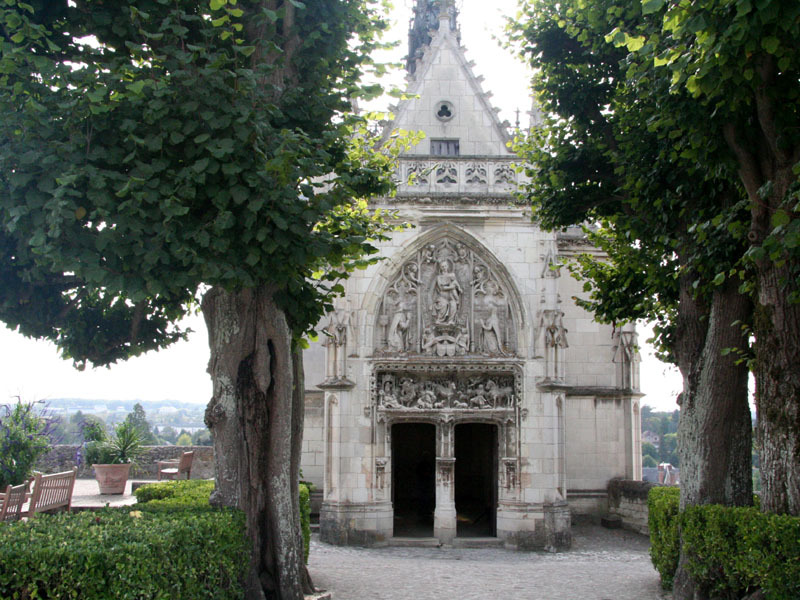 Leonardo da Vinci is believed to be buried in the Amboise Castle chapel. 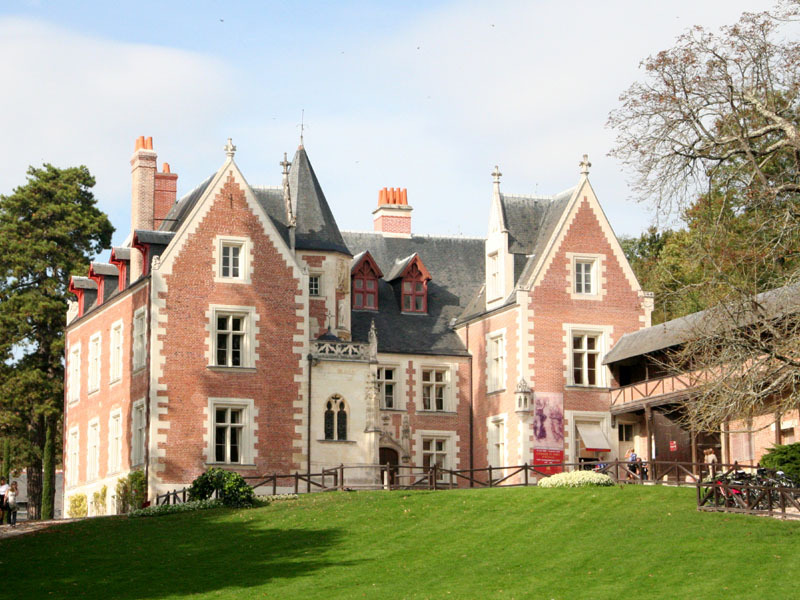 Leonardo lived and worked at Manor Clos-Lucé the last three years of his life. 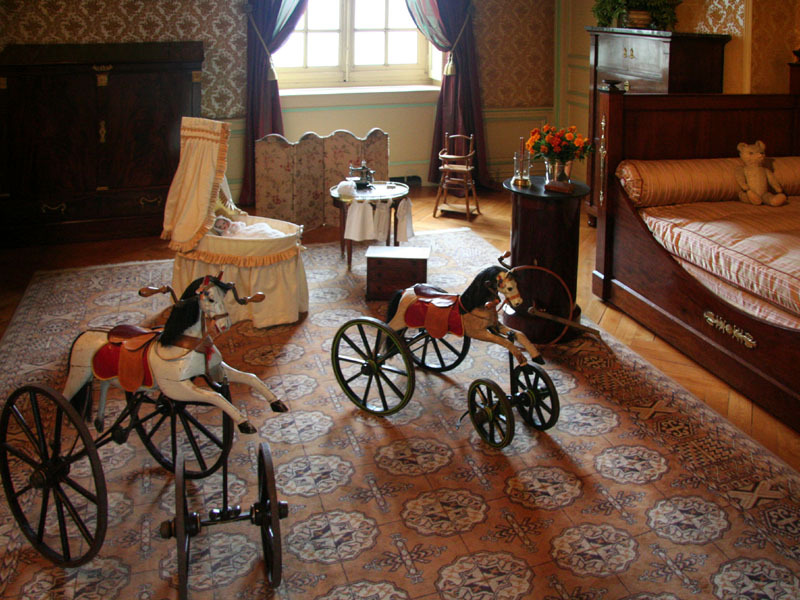 The manor and grounds display models of da Vinci's machines and concepts. 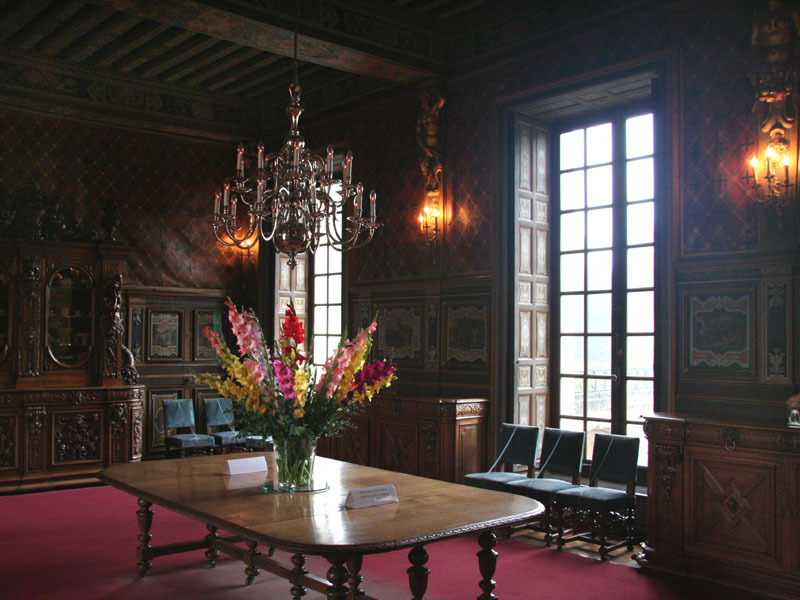 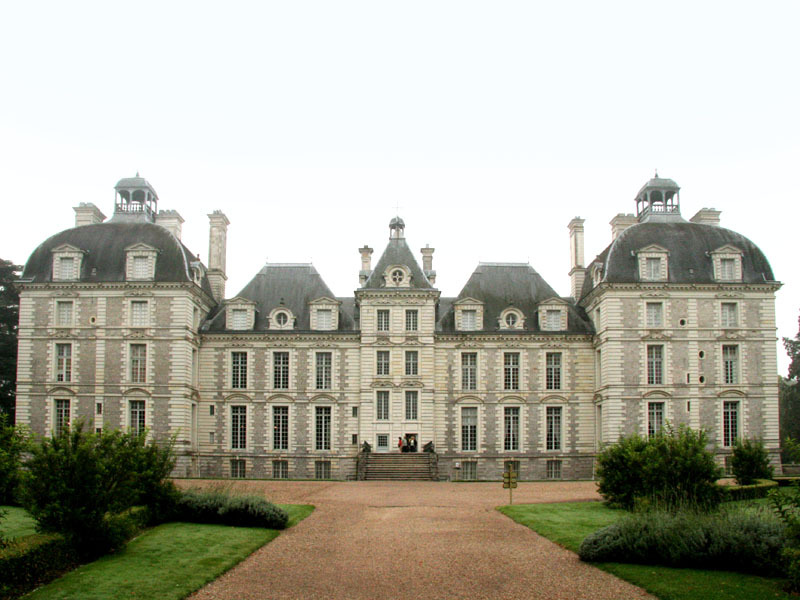 Château de Cheverny,built between 1624 and 1630, is now back in family hands. 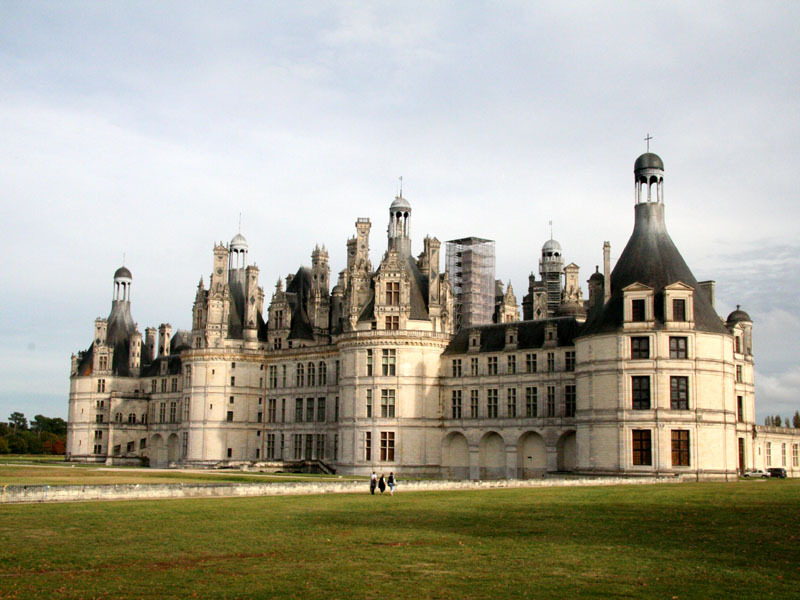 Château de Chambord, built 1519-1547, is the largest Loire Valley castle. 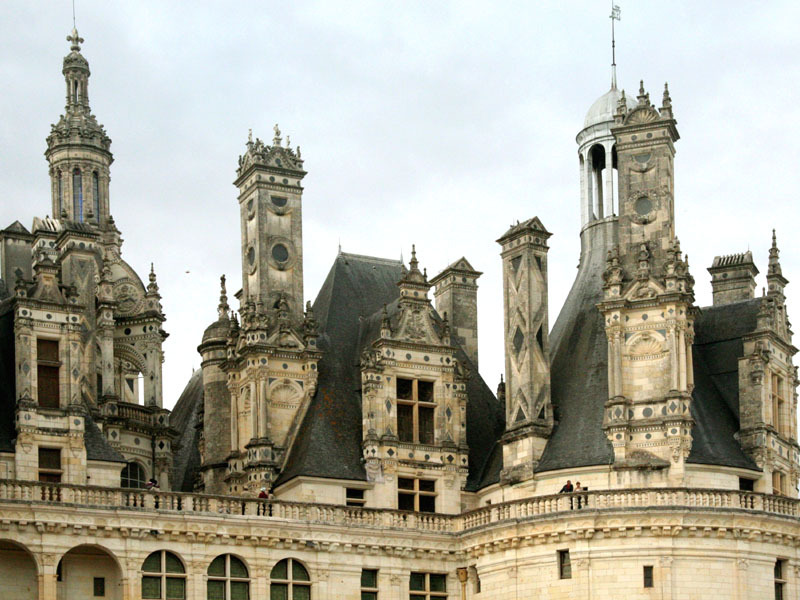 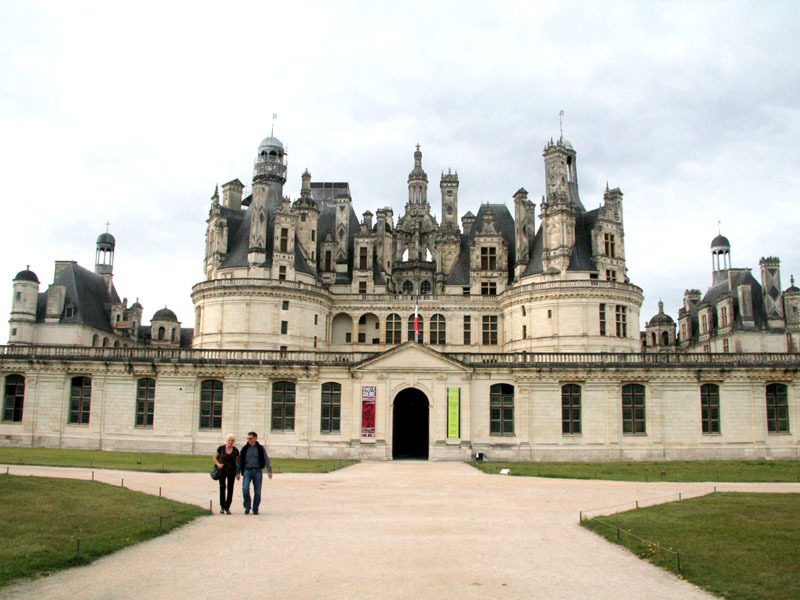 Chambord was originally built by King Francis I to serve as a hunting lodge. 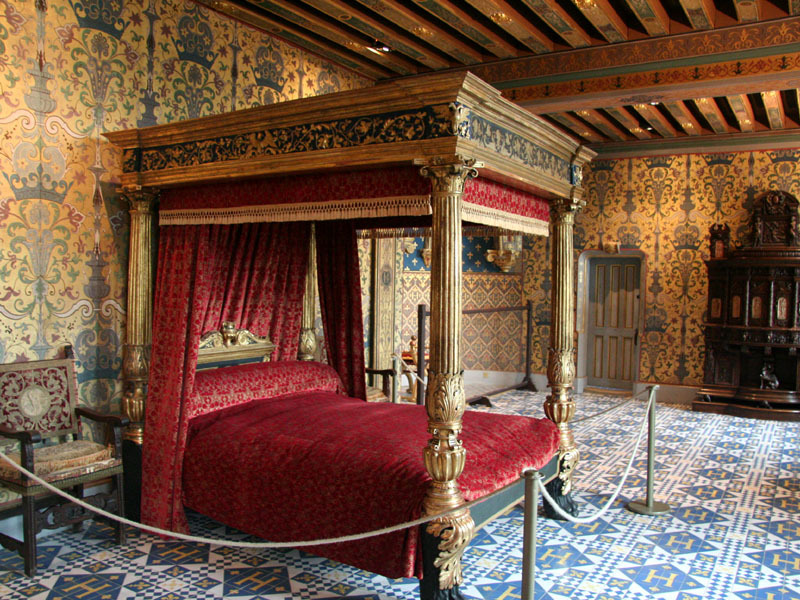 The Château de Blois was built in the middle of the town that it controlled. 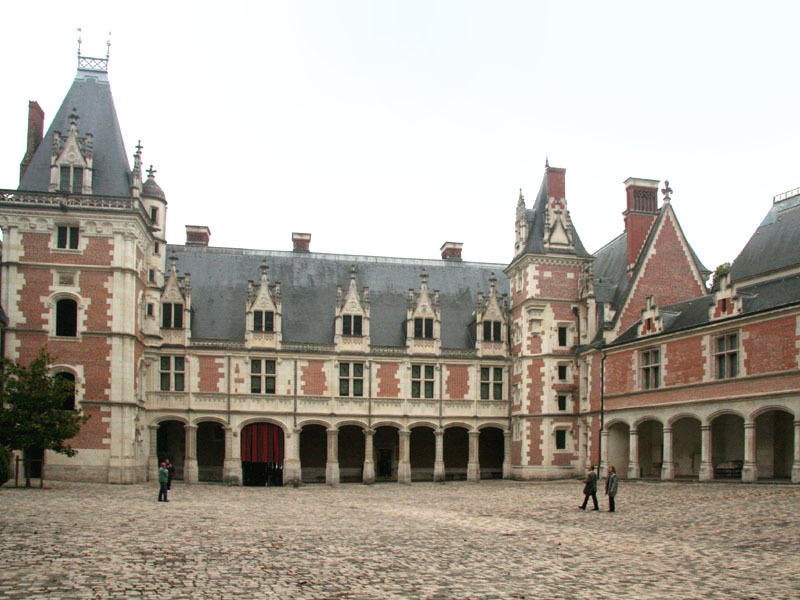 Blois Château consists of several c13-c17 buildings around a central courtyard. 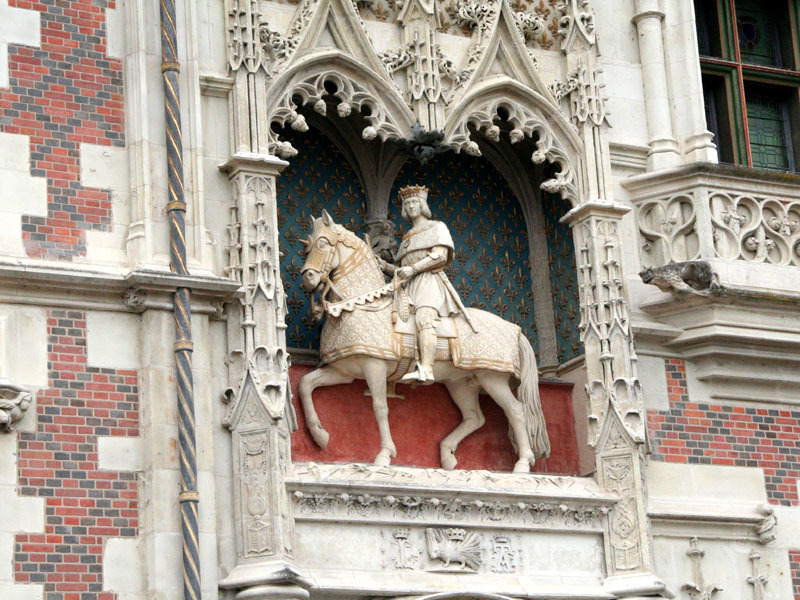 A mounted statue of the king adorns the façade of the Louis XII wing. 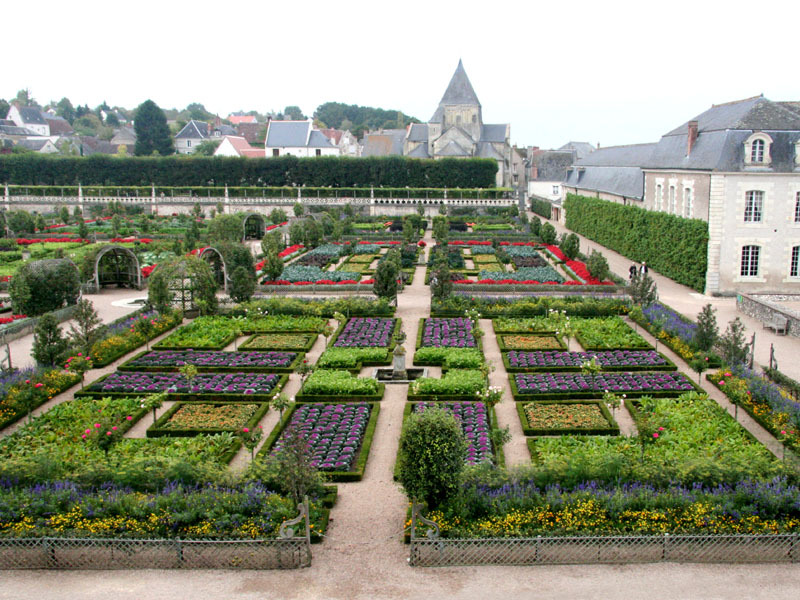 Château de Villandry is a castle-palace located where an ancient fortress once stood. 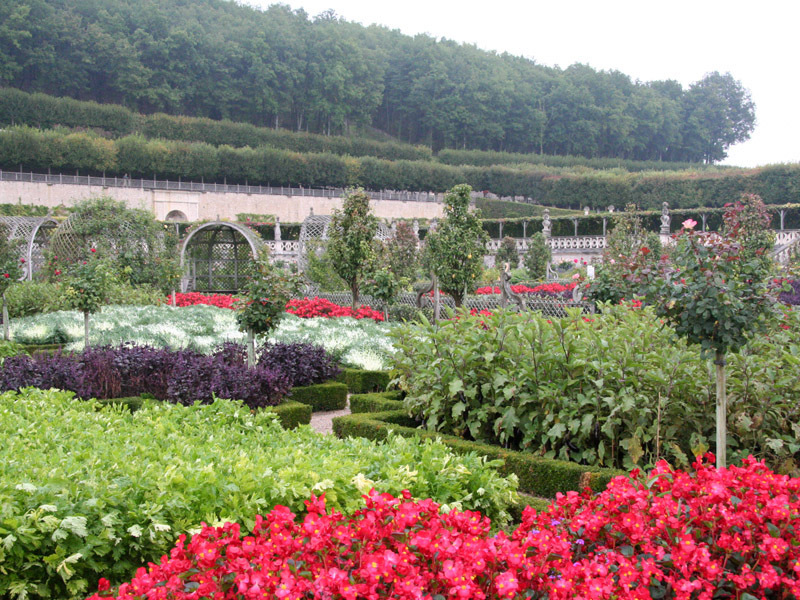 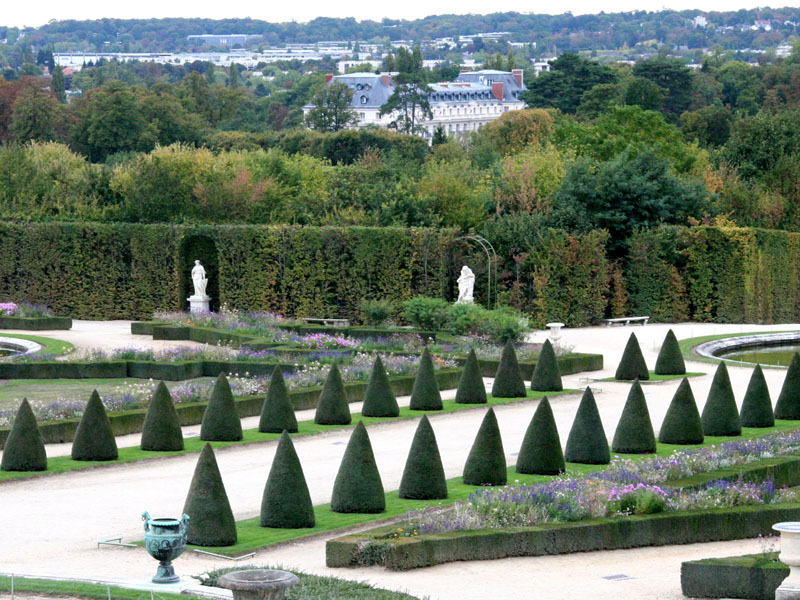 Villandry's fame is based not on the château but on its exquisite gardens. 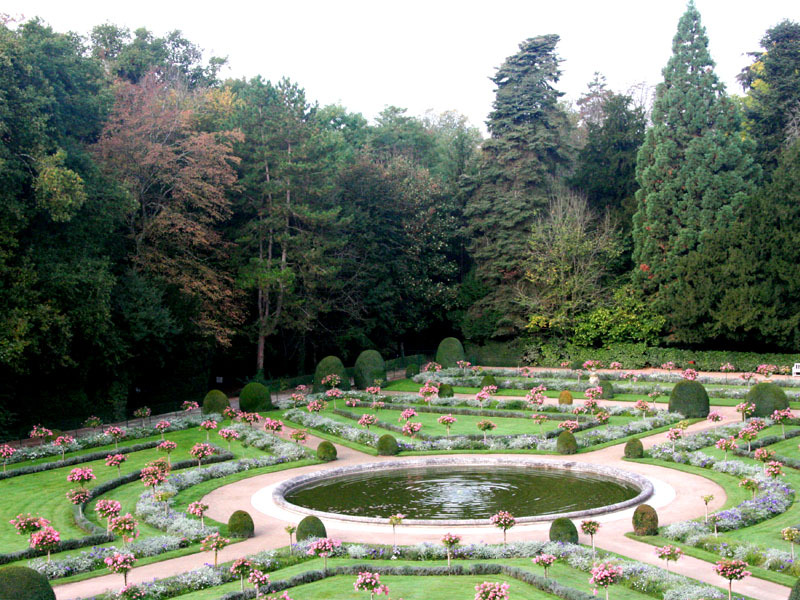 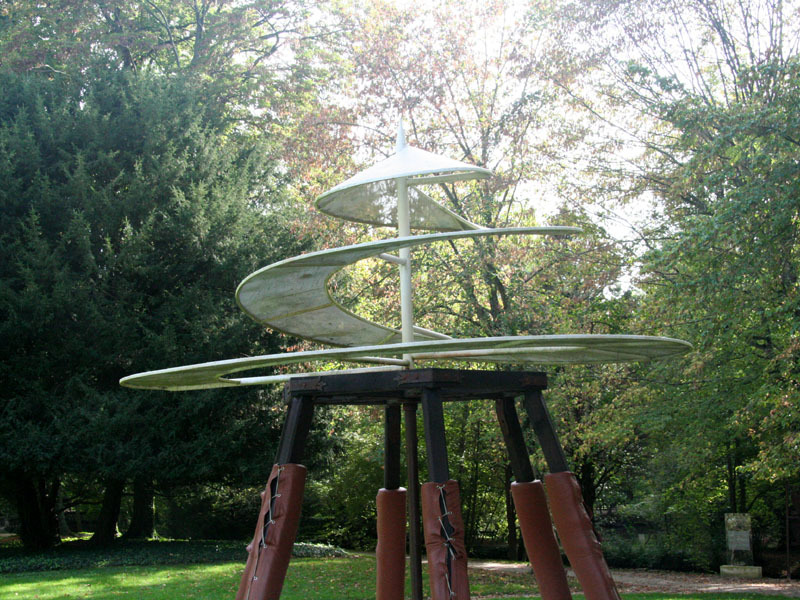 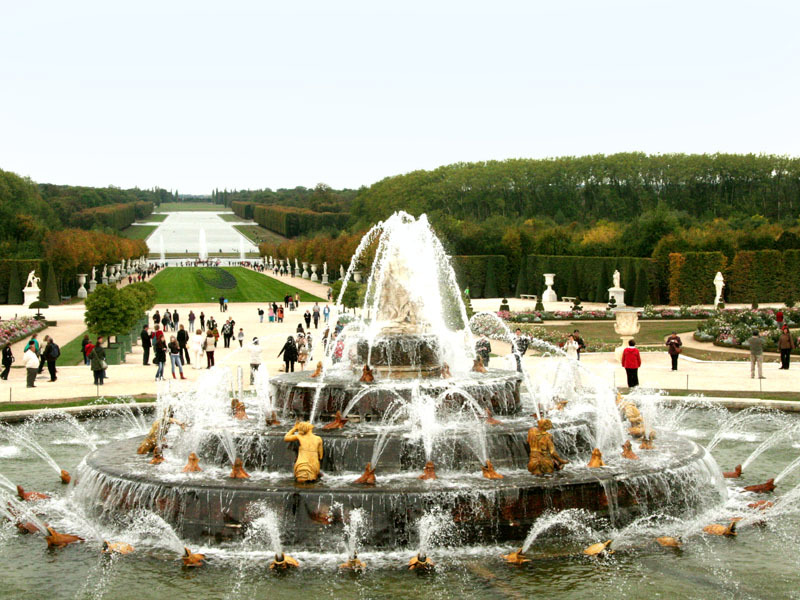 Joachim Carvallo used historical sources to restore the gardens in 20th century. 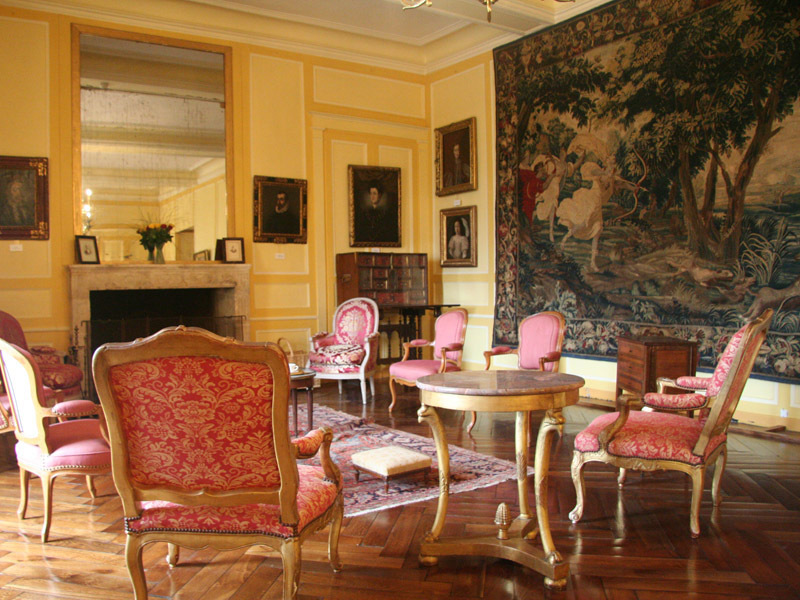 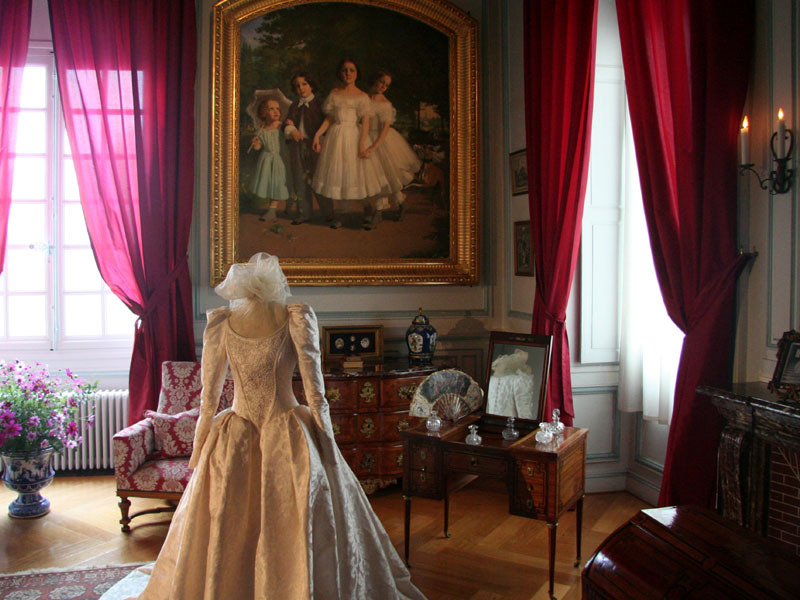 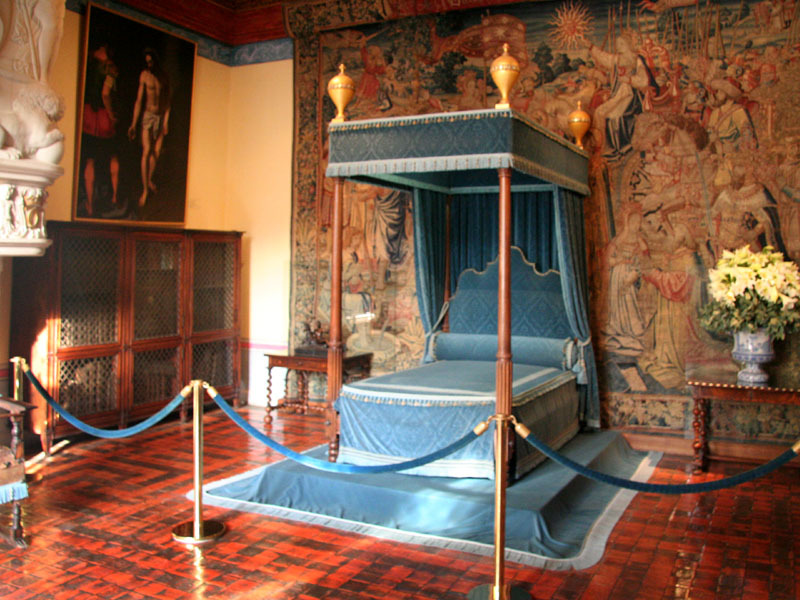 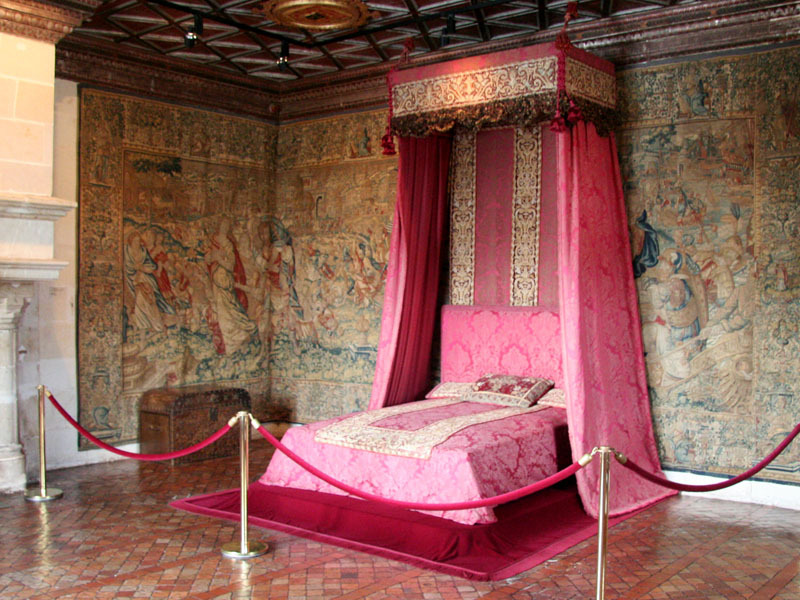 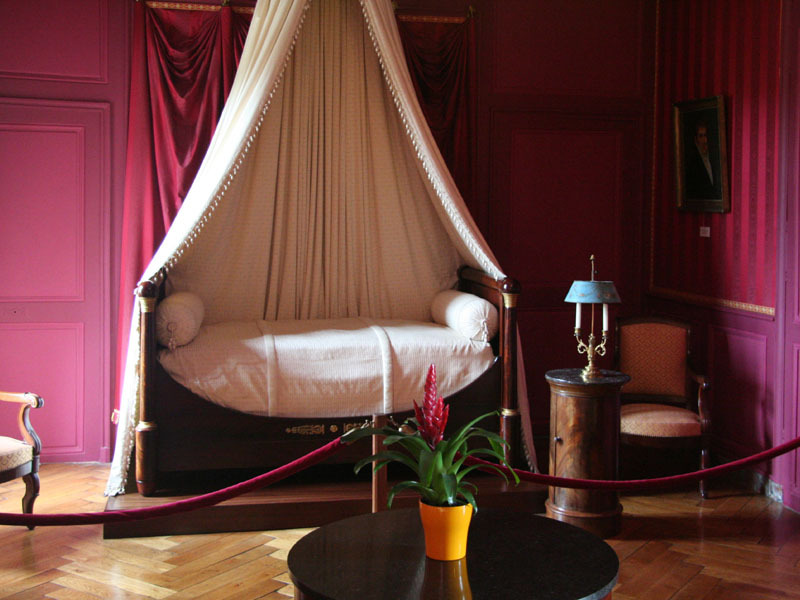 The inside rooms of the Château de Villandry were refitted in the 18th century. 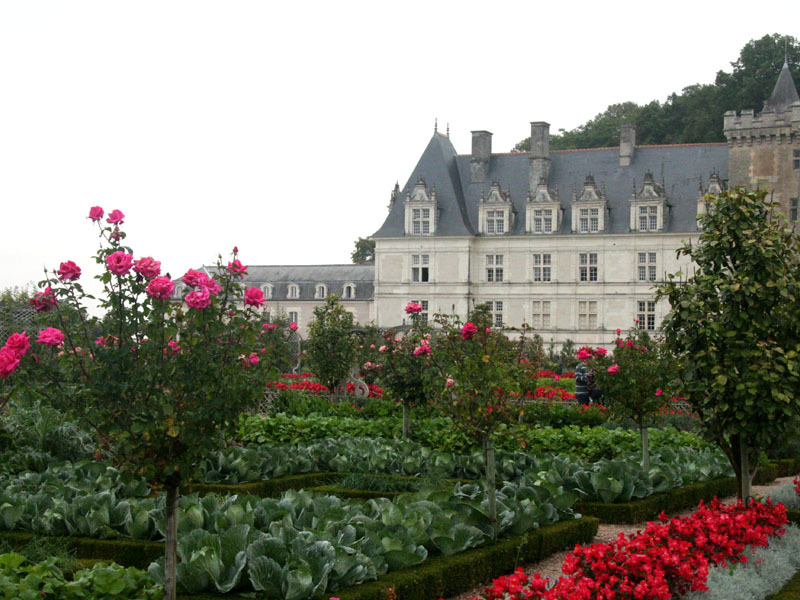 Villandry was one of the last renaissance palaces built on the Loire. 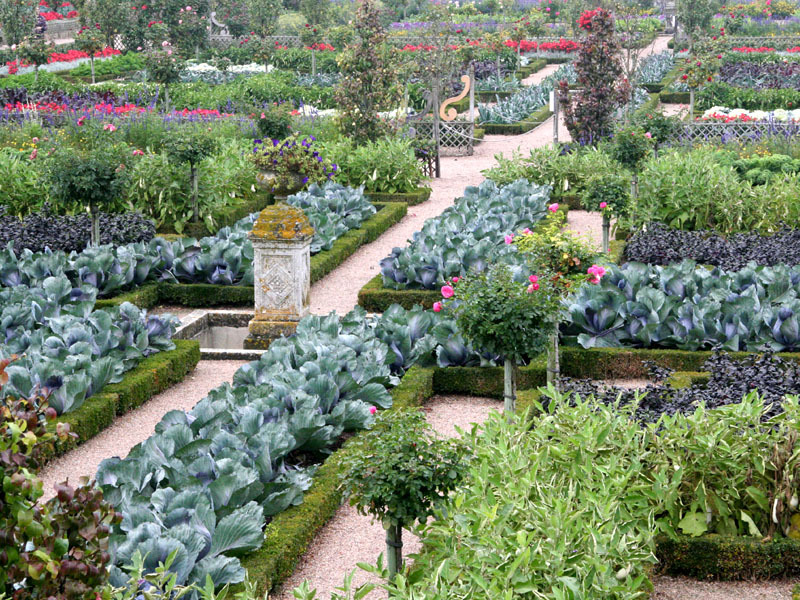 Ornate kitchen gardens date back to abbeys of the Middle Ages. 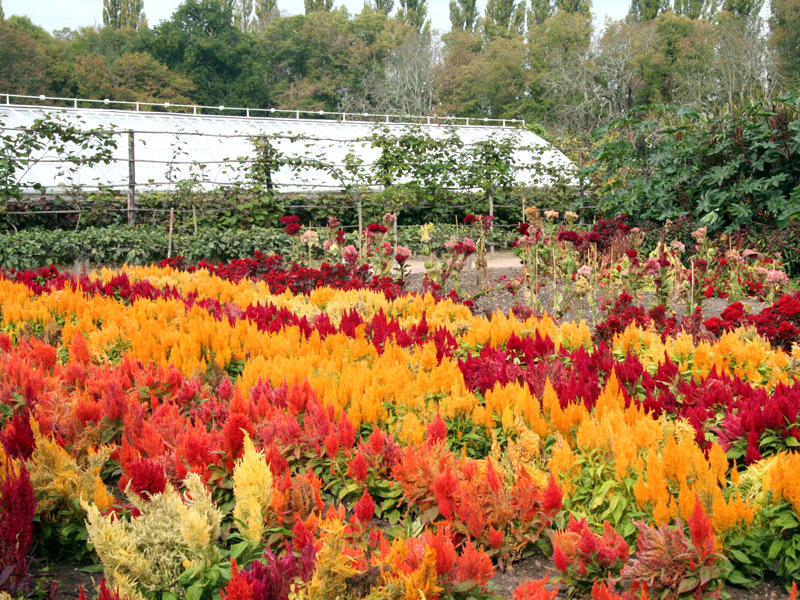 Each year 250,000 flowers and vegetables are planted in the gardens. 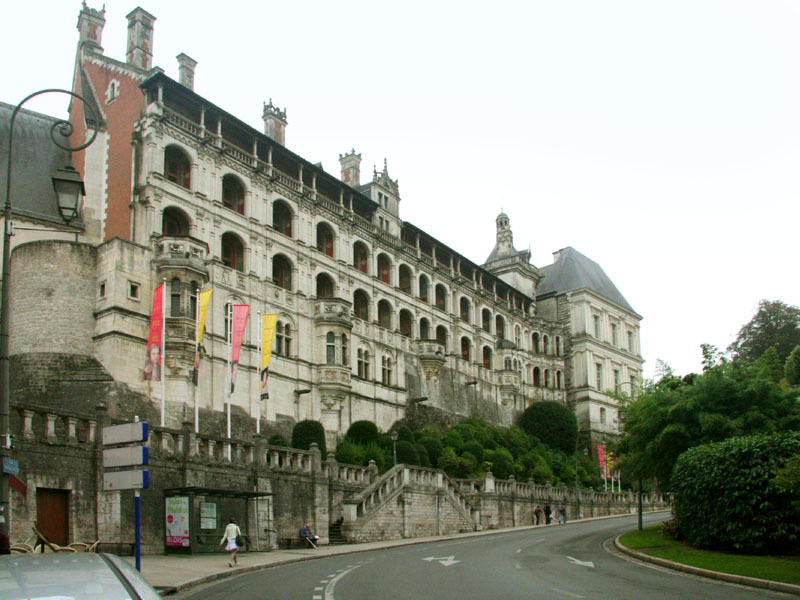 Orléans is situated where the Loire turns south-west into the Valley. 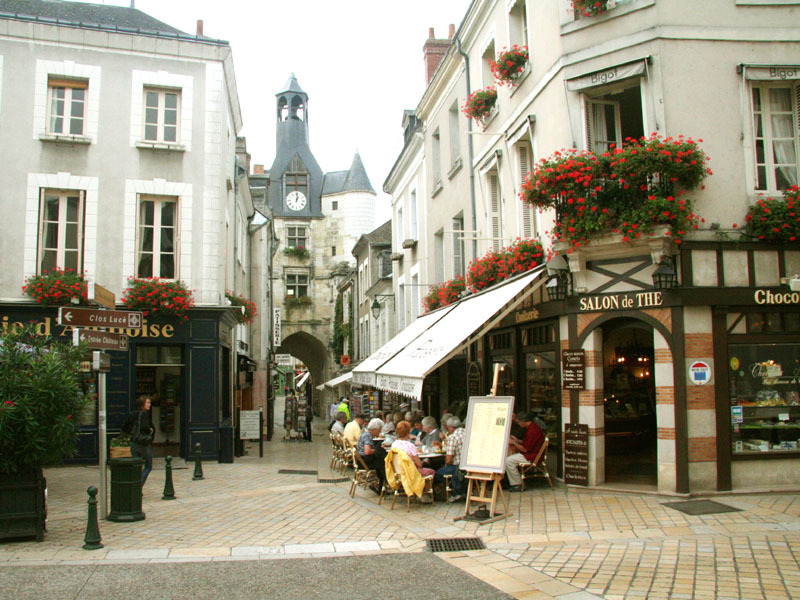 Orléans features a striking blend of traditional and modern architecture. 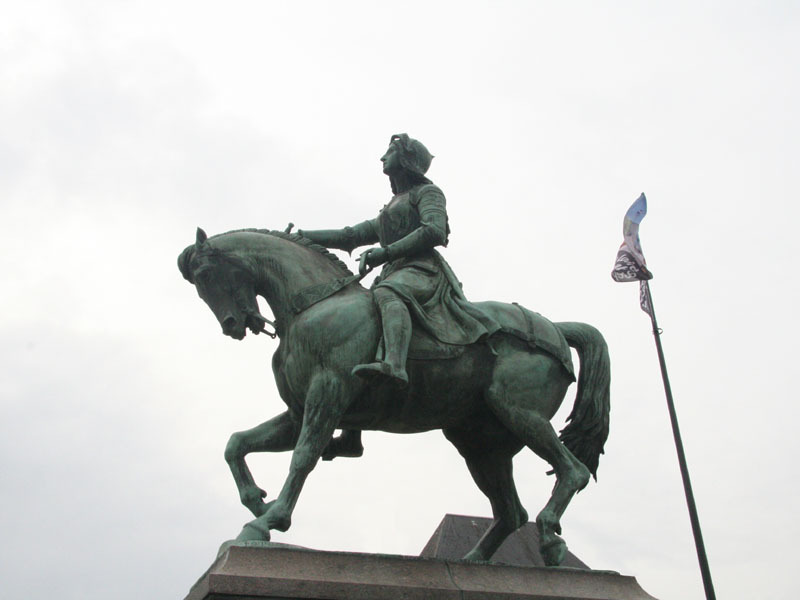 Joan of Arc, “The Maid of Orléans”, liberated the town from the English in 1429.